According to the Center for Disease Control and Prevention (CDC), Hepatitis C is currently the most deadly infectious disease in the US. The findings are based on new government data about Hepatitis C related deaths in 2014. What is even more concerning is that in 2014 Hepatitis C accounted for more deaths than 60 other infectious diseases, including tuberculosis, HIV/AIDS and pneumococcal disease. The irony of the problem is that in 2013 we have discovered a wonder drug to cure Hepatitis C patients, with about 95% cure rate. However, in 2014 we were faced with an all-time high death cases due to Hepatitis C virus. How can this be? "Not everyone is getting tested and diagnosed, people don't get referred to care as fully as they should, and then they are not being placed on treatment," said Dr. John Ward, director of CDC's division of viral hepatitis. One of the reasons may lie in better reporting. CDC gathers information about Hepatitis C related deaths via computerised reporting system; in 2014, 40 states reported their Hepatitis B cases and 37 states disclosed statistical number about their Hepatitis C patients. 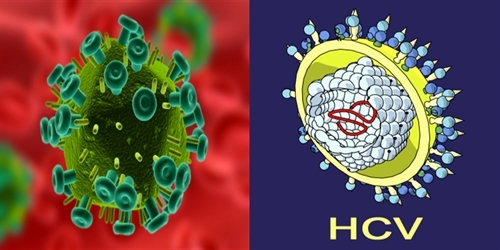 According to CDC report, the reported cases of acute Hepatitis C virus infection increased dramatically. While during the years 2006-2010 there were less than 1000 reported cases of infection per year, the number quickly rose to above 2000 cases per year in 2013 and 2014. That is more than 100% increase in less than 5 years. No doubt better reporting is in part responsible for the statistical increase; albeit that does not diminish the ever rising increase in HCV incidence. Up till the CDC report that came out on 4th of May 2016, the rough consensus on the number of HCV infected patients in the US was about 3.2 million. Now the number is more likely closer to 3.5 million, a nearly 10% increase in all Hepatitis C patients. What is more, the epidemiologic studies show that at least 4.6 million people in the US are HCV-positive. All of these people do not suffer from Hepatitis C; however, a very large majority has high probability of suffering the consequences of Hepatitis C.
Who are the new Hepatitis C patients? CDC does admit that the higher numbers in areas such as Florida, Massachusetts and New York can be a result of increased surveillance as a result of their funding. However, the increase in other states was affected by better reporting in a lesser way. Overall, factoring in the under-reporting and under-ascertainment, CDC estimates more than 30,000 people got infected with HCV in 2014 alone. An average age of Hepatitis C patient that succumbs to the disease is 59 years. What is concerning is that there has been a drastic increase in Hepatitis C related deaths in adults aged 55-64 years old. 2007 marks the year when Hepatitis C related deaths (15,106) exceeded the number of HIV/AIDS related deaths (12,734). From that point on, we see Hepatitis C deaths gaining momentum while HIV/AIDS patients are doing better than before. In 2014, almost 20,000 US citizens died from Hepatitis C; more than half of those were in the 55-64 years range. Baby boomers -- those born from 1945 to 1965 -- carry the greatest burden associated with the disease, as many have been unknowingly living with it for years. You can access the full commentary on CDC report on Hepatitis C here.